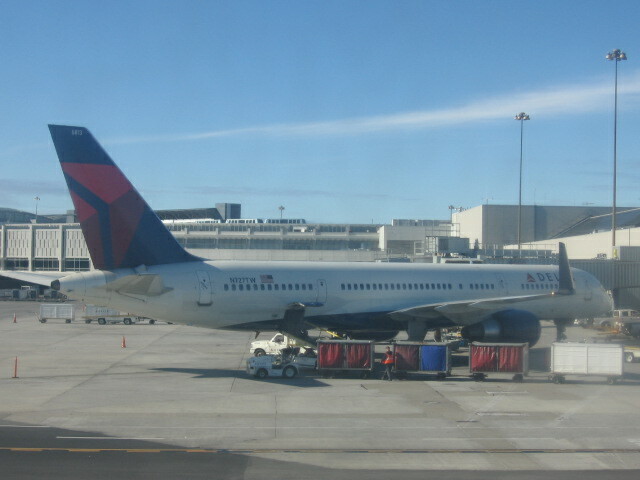 A Delta Airlines Boeing 757 at the Phoenix Sky Harbor Airport. So how could you have known that the Delta website was charging you more than the lowest available fare? First, you have to understand what an airline tariff is: A list of all published base fares on a certain route, along with their rules and permitted routing — they carry a code corresponding to a letter of the alphabet. The second thing is the flight inventory, or the number of seats in each booking class made available on a certain flight. As the shamelessly named Kralev Method teaches you in the book, once you’ve identified the lowest published base fare on the tariff, made sure you can comply with its rules, and found availability in the respective booking class, there should be no reason not to get that fare. For example, let’s say the lowest base fare on Delta from New York to Los Angeles is a T fare of $150 each way. It has a 14-day advance-purchase requirement and is valid on any day of the week except Friday and Sunday. You want to travel on Thursday and Saturday, which is allowed. Both your outbound and return flights have availability in T class. How do you know that? There are at least a couple of sources you can use, so read the book. Now that all conditions are met, you should get a ticket price of $300 plus about $20 in taxes on nonstop flights, or a total of about $320. That said, I’ve had many cases in which airline websites have not given me the fare I expected, but I’ve figured out how they were trying to trick me and found a way to get what I deserve. As several screen shots show in the book, I’ve saved hundreds — and even thousands — dollars using my method. One of those savings was more than $350 on a ticket from Washington to Louisville, Ky., and another one was $1,300 on a trip to Chile. If I can’t get the website to price out correctly, I’d call an airline agent, explain the issue and see if they can get the right fare. They usually can, because they are able to manually input the necessary booking code. This entry was posted in Travel and tagged airfare, airfare codes, airfare savings, airline inventory, airline tariff, airline taxes, airline tricks, base fare, booking codes, Delta Airlines, loyalty programs, nonstop flights. Bookmark the permalink.